A recommended holiday cruise for England's politicians. Good for the carbon footprint and not to far from the office! 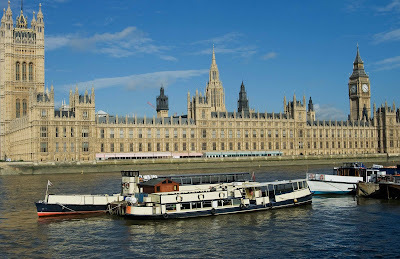 Great shot with Parliament in the background and on a beautiful sunny day! Yes, it's a wonderful photo of a brilliant idea. You should pass it along right away! Always a great spot for a photo on a sunny day!